Locality: United States, Colorado, San Juan, Ophir Pass Road along the Middle Fork of Mineral Creek. 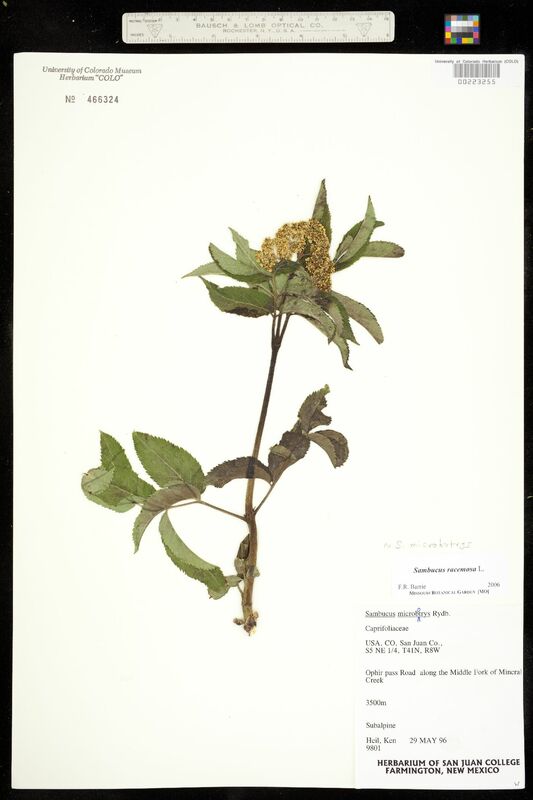 Notes: Sambucus racemosa L., det. F.R. Barrie, 2006.